Security threats to Chinese workers and investors in Africa are part of what seems to be growing Chinese official interest in curbing (illegal) arms exports to Africa. A report from Xinhua via ChinaWire has some interesting quotes from Chinese attending a July 2013 conference on this issue in Nairobi. ChinaWire also included this fascinating story on China's second-hand clothing exports to Africa. 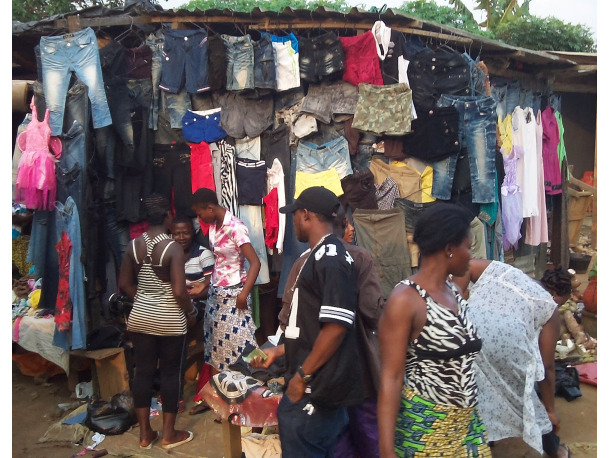 Africa watchers have long been familiar with the second-hand clothing markets. When I was doing my Ph.D. research in Liberia, a Peace Corps friend bought a used bowling league shirt in his market, and surprised me by wearing it when we went bowling in Abidjan during a trip to the Ivory Coast. Like China's export of new clothes, these used clothes from the West have long been a challenge to textile manufacturers in Africa. I guess we could have expected that Chinese exporters would join this market, as they have so many others formerly dominated by the West. ChinaWire is a great source for collecting Chinese media reports. They regularly collect material on China-Africa, as well as other topics of interest. Highly recommended.